Nutrient Profiling: Friend or Foe? Salt is essential to a healthy life. But due to a lack of regulatory framework and harmonisation, European public health policies have failed to address issues linked to malnutrition, particularly lack of micronutrients and the ensuing health impacts, writes Inge Neetens. Inge Neetens is the communications manager at EUsalt, an association of European salt producers. Nutrient profiling is the science of classifying or ranking foods according to their nutritional composition to help prevent diseases and promote health. With the current Evaluation of the Regulation on nutrition and health claims (REFIT), nutrient profiling, on which nutritional claims are based, may have negative effects on consumers and their health. 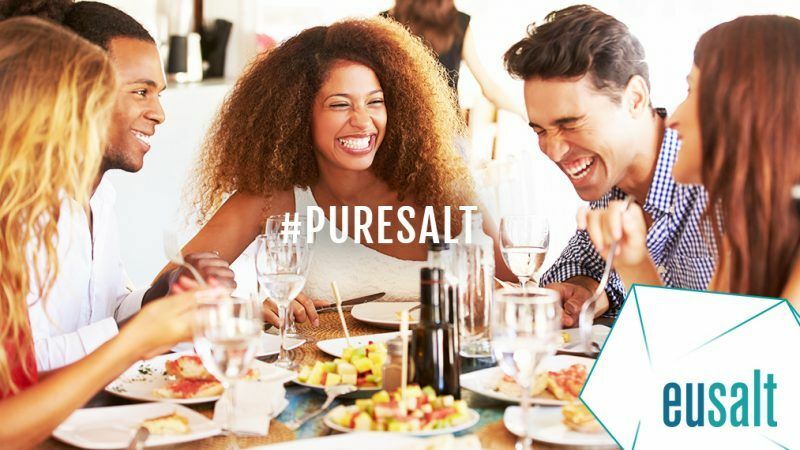 EUsalt, the association of European and global crystallised salt producers, believes that the regulation should focus on helping consumers achieve optimum nutrition to limit the negative impacts of malnutrition. Nutrient profiling might limit the possibility to fortify certain foods with essential nutrients, if the food is deemed to have a bad nutrient profile. For now, products containing fortified salt may exceed nutrient profile thresholds. For example, fortified table salt contains at least 97% of sodium chloride, thereby preventing food operators and salt producers to inform consumers on the iodine, folic acid or fluoride present in a product. Which is in contradiction to various international initiatives to fight iodine and fluoride deficiencies. In the European Union, a lack of awareness exists on these deficiencies and the resulting health problems. Salt has been globally recognised as a cost-effective vehicle for nutrients, due to its widespread consumption and due to the low cost of fortification. Indeed, salt as a carrier guarantees folic acid and/or iodine and/or fluoride intakes for a whole population, without discriminating certain social classes and independent of any dietary preference. Salt can also be used in specific processed foods resulting in an easy control of nutrient intakes, avoiding risks of over-exposure. Therefore, EUsalt supports the recommendations from the WHO 2008 Report for salt fortification and promotes the use of salt as a carrier of essential nutrients. Nutrient profiling can be a complementary tool in helping consumers make healthier lifestyle choices and opt for optimum nutrition. It should respond to a systematic, transparent and logical methodological process, ideally agreed between the different sectors of each country or region involved. The implementation of nutrient profiling should be supported by further education and training on healthy, well-balanced diet and focus on nutrition education, aiming at a correct interpretation of the term ‘healthy’, for which we would be willing to actively engage in. Currently, nutrition and health claims based on nutrient profiling tend to be reductionist, as the health level of certain foods is judged on simplified criteria i.e. the total content level of fat, saturates, carbohydrate, sugars, protein and salt. But these criteria do not rightly assess the overall nutritional value of a food and may mislead consumers into believing that they have an optimum nutrition and a healthy lifestyle. EUsalt is the association of European and global crystallised salt producers. Our mission is to be a platform of expertise and shared best practices; to provide clear and reliable information about salt and its applications and to act as the sole salt industry representative towards European and international institutions as well as stakeholders. Salt production has various applications, such as for the chemical industry, pharmaceuticals, de-icing, water treatment and food grade salt. Only 5% of European salt produced is destined for the food industry. EUsalt has continuously advocated the need to promote an optimum nutrition, healthy, well-balanced, diet and lifestyle.